Great news! 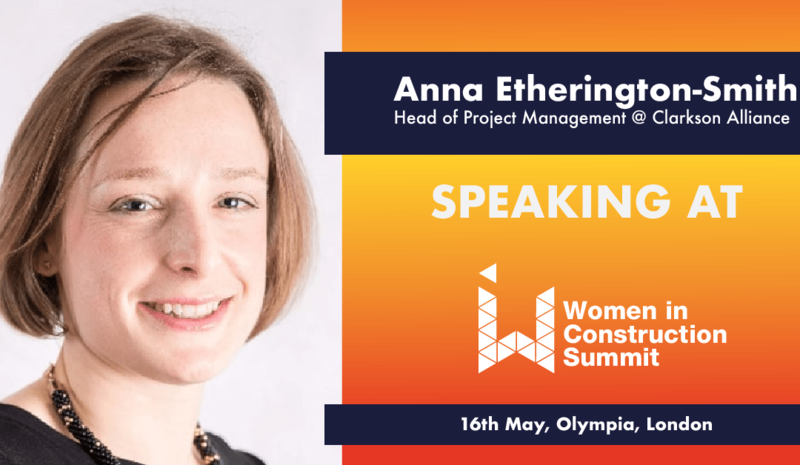 We are delighted to announce that Anna Etherington-Smith, Head of Project Management will be sharing her thoughts at the Women in Construction conference in May 2019. Anna will be discussing the value of diversity in a project team and the importance of encouraging people to understand and develop their individual strengths. She will also be sharing her own experiences from 15 years in the construction industry as structural engineer, construction manager and project manager. The event is taking place in London on 16 May 2019, and you can find out more about her session as well as the other speakers the event website. Please get in touch via enquiries@clarksonalliance.com if you have any questions relating to Anna’s session at the conference.